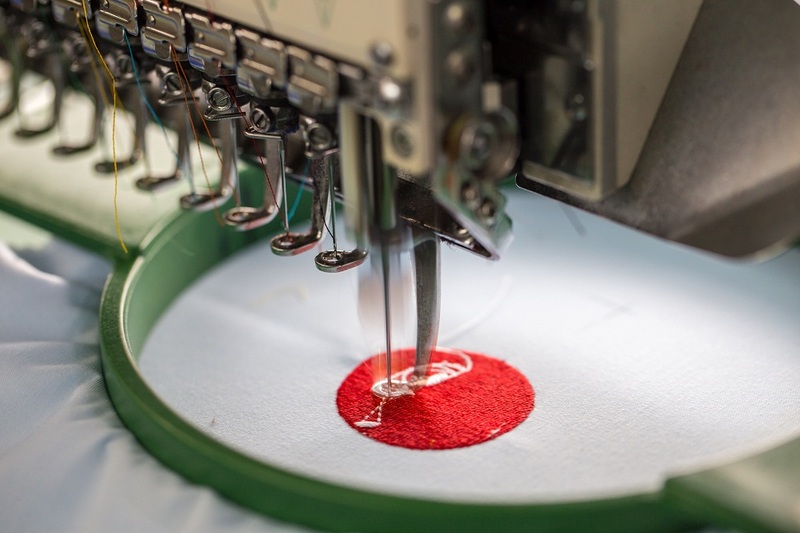 It’s really amazing how a little personalized embroidery can help you to customize your sewing projects and make them ultra-special. Adding monograms are one of the easiest ways to personalize gift and home décor items. 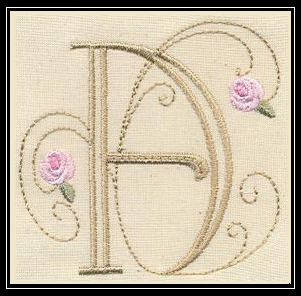 Check out the following 5 fancy and fun monogram embroidery designs to spice up your next projects! 1) Bullion Rose Quilt Monograms – Bullion Rose Quilt Monograms is digitized by designer “Artistic Designs.” These beautiful rose monograms are great to enhance a special blouse, to personalize quilts, bedding and towels. You can also stitch them on any gift project, etc. These beautiful Bullion embroidery designs are available in the hoop size of 4×4. 2) Bugs Life Alphabet – Bugs Life Alphabet is digitized by designer “Embroidershoppe.” The bug alphabets stitch out beautifully and are ideal to create personalized projects. 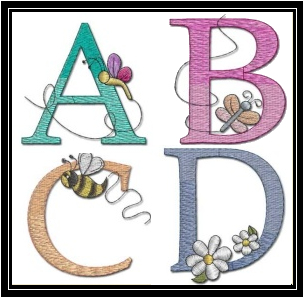 The alphabet machine embroidery designs are great for quilts, tote bags, linen covers, etc. Each alphabet fits the 4×4 hoop and will be an elegant addition to any project. 3) Cutwork Monograms – Cutwork Monograms set is digitized by designer “Enigma Embroidery.” This set features 26 unique cutwork embroidery monogram designs. 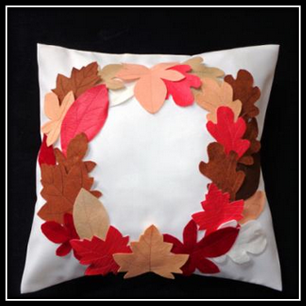 You can use them for pillow covers, bedsheets, and for various home décor items. The cutwork designs are available in the 4X4 hoop size. 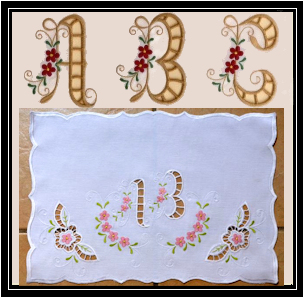 Cutwork instructions are included and companion cutwork sets available. 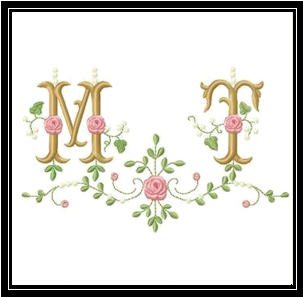 4) Rose Monogram – Rose Monogram set is digitized by designer “Attic Treasures.” These monograms are 3 inches tall. Use your own color choices and make beautiful projects for everyone. These classy rose monograms are suitable for keepsakes gifts for graduations, weddings and any sentimental projects that to honor the recipient’s name. 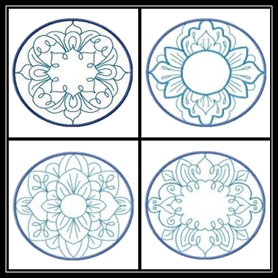 These lovely and versatile embroidery patterns are available in the hoop size of 4X4. 5) Christmas Cheer Monograms – Are you looking for a fun, versatile monogram embroidery font to use on gifts or home décor for this Christmas season? 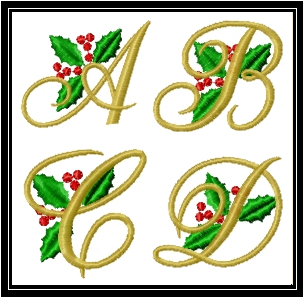 Consider this elegant, attractive Christmas monogram collection. This set is digitized by designer “Enid & Celeste’s Designs.” This beautiful Christmas monogram set will surely brighten up your holidays. Each letter is approximately 60mm high by 50mm wide. The designs are available in the hoop size of 4X4. Give meaningful, tailored personalized gifts to your loved ones this season! Stitch your favorite monogram on everything from tote bags to quilts. We are pretty sure that your family and friends are going to love their presents and enjoy their visits to your home, decorated with your favorite embroideries. For more designs, you can visit The OPW Mall – where YOU are always #1. 1) Trapunto Cats – Trapunto Cats set is digitized by designer “Always J Designs.” This amazing set contains 10 unique machine embroidery designs that you can use for your quilts. You can also use these designs for creating tote bags, cushion covers, table covers and many more items. 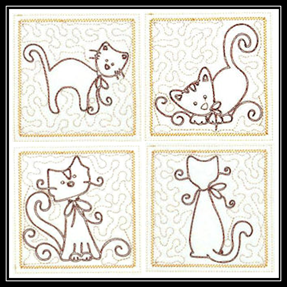 These easy to stitch cat designs are available in the hoop size of 4X4. 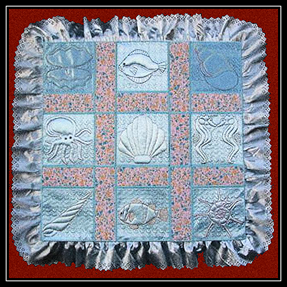 2) Trapunto Aqua Marine Quiltblocks – Trapunto Aqua Marine Quiltblocks set is digitized by designer “Sunshine Embroidery.” Give your quilt an elegant look with these fun and attractive quilt blocks. You can also use them on towels, curtains and for shower curtains in the bathroom. These will decorate an absolutely stunning beach ensemble! The designs are available in the hoop size of 5X7. 3) Trapunto Flower Blocks – Trapunto Flower Blocks set is digitized by designer “Designs By Lizette.” The set features 10 unique embroidery designs, done beautifully in any color. A complete PDF instruction guide with photos is available with the set. They are available in both the 4×4 and 5×7 hoop size. 4) Timeless Trapunto – Timeless Trapunto set is digitized by designer “Rease’s Realistic Designs.” This beautiful set can be used as just trapunto, applique or redwork. These 18 unique designs are available in three different hoop sizes 4X4, 5X7 and 6X10. 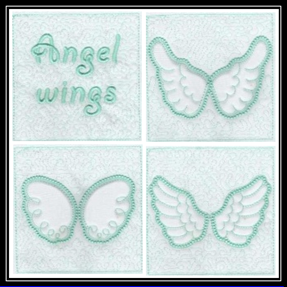 5) Angel Wings Trapunto Quilt Blocks – Angel Wings Trapunto Quilt Blocks set is digitized by designer “JHB Creations.” These simple angel wings come to life with the trapunto technique, ready for your next quilt, nappy bag, and toiletry bag or to whatever your imagination takes you. A plain stippling block has been included in the set to enable you to add baby’s name. These designs are available in the hoop size of 5X5. Give Trapunto quilting a try on your next project. Add it to your pillow top, a baby quilt and more! If you are looking for more trapunto machine embroidery designs as well as 1000’s of others, visit OPW Mall ­ – where YOU are always #1. Cooking, baking, DIY food projects — all good reasons to wear an apron. It is important to look good and feel good while cooking or baking etc. So, how about creating an adorable apron embroidery pattern to feel good about yourself? Check out these 5 adorable apron embroidery designs for kitchen lovers below! Pick your favorite one and start sewing! 1. 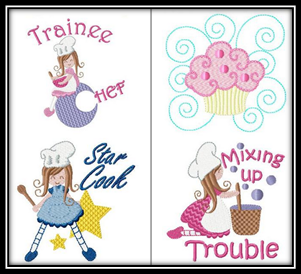 Cute Chefs – Cute Chefs set is digitized by designer “Kreative Kiwi Embroidery.” You can brighten up your kitchen with these wonderful embroidery designs. 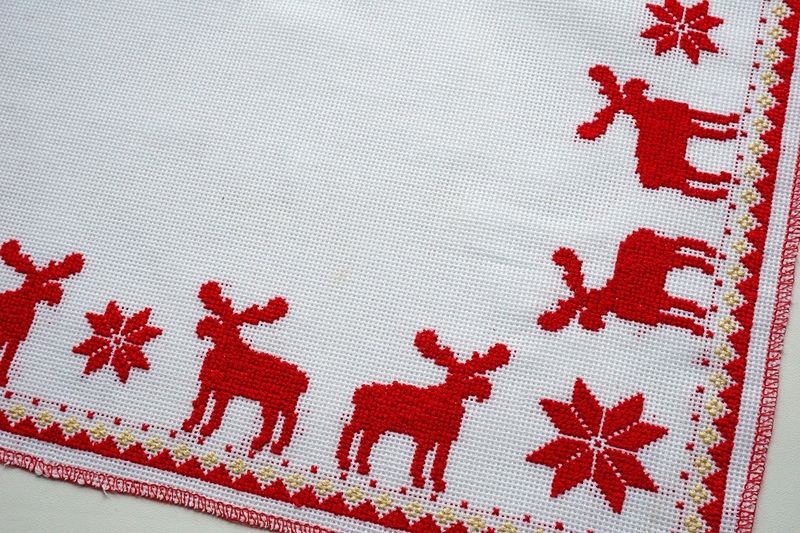 Use these designs for aprons, dishtowels, tablecloths and more. This set is available in two different sizes, one for the 4×4 hoop and one for the 5×7 hoop. 2. 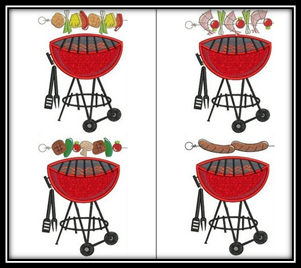 Barbeque Time – Barbeque Time set is digitized by designer “Hatched In Africa.” The set consists of 29 different embroidery designs including wordings in English and Afrikaans language. These patterns will brighten up any table at a barbeque and is perfect for aprons, tablecloths, dishtowels, pot holders and even t-shirts! These designs are available in different sizes – 23 designs are available in the hoop size of 5×7 and the rest are in 4×4 hoop size. 3. 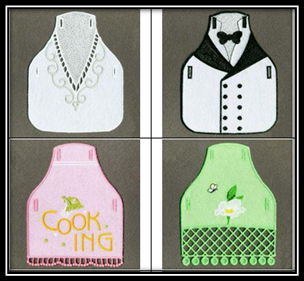 FSL Applique Bottle Apron – FSL Applique Bottle Apron is digitized by designer “Sweet Heirloom Embroidery.” These fun bottle aprons are great to dress up wine bottles for gift giving. The set features 10 unique FSL applique embroidery designs. 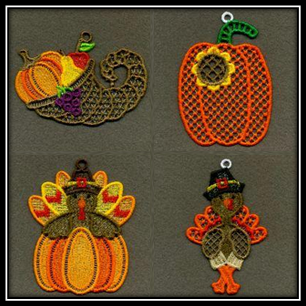 These designs are available in the hoop size of 5×7. 4. Apron Designs – Apron Designs set is digitized by designer “Allstitch.” The set features colorful apron machine embroidery patterns. These designs will definitely brighten up your kitchen. 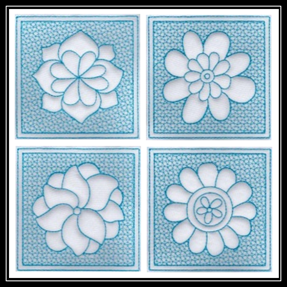 You can also use these designs to stitch a wall hanging, apron or appliance cover in fabric to match your decor. 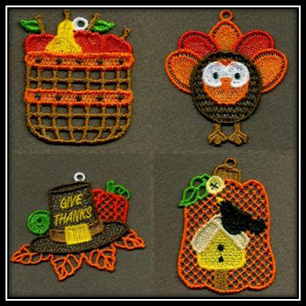 These designs are available in the hoop size of 5×7. 5. 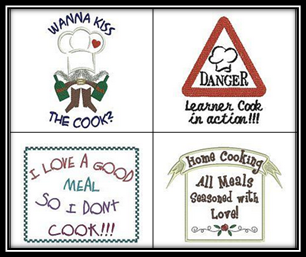 Apron Attitudes – Apron Attitude set is digitized by designer “Designs 4 Africa.” The apron attitude set features 24 designs and humorous sayings. You will also get a complete set of instructions with pictures and a pattern on how to make an apron. These designs are very easy and quick to sew. The apron embroidery designs are available in the hoop size of 4×4. 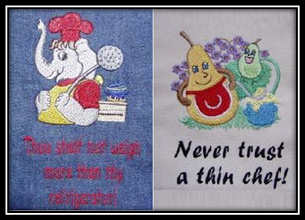 Whether you are creating projects for gift giving or stocking your own kitchen with useful accessories, these embroidery designs are sure to give you hours of enjoyment! For more designs, you can visit OPW Mall – where YOU are always #1. 1. 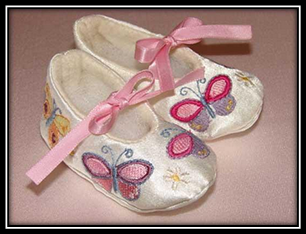 Butterfly Booties – Butterfly Booties set is digitized by designer “Embroidershoppe.” These booties are perfect for infants. The design is available in 4 sizes i.e., 0-3 months, 3-6 months, 6-12 months, and 12-18 months. A complete set of instructions is also available with this set to create the project. Faux leather and suede are perfect to create them. You can also use satin to sew the project. These designs are available in the hoop size of 5X7. 2. Girls Shoe Toppers – Girls Shoe Toppers is digitized by designer “Digidoodlez.” The set consists of 4 embroidery designs including a flower, a ladybug, a heart, and a butterfly. These shoe decorations sew out with 2 in a hoop, so only one hooping is required to make a pair. Each topper is about 2 1/2 inches wide and 2 to 2 1/2 inches tall. These are made with a loop on the back so you can lace them onto the top of your kid’s shoes. You can also slide them onto shoe straps. You can add hot fix stones to these to make them sparkle. A complete set of instructions is also available with this set. These designs are available in the hoop size of 4X4. 3. Free Standing Lace High Heel Shoes – Free Standing Lace High Heel Shoes is digitized by designer “Sewaz Designs.” These shoes are perfect for any shoe lover girl you know. The darling high heel shoes are created as free standing lace embroidery designs. 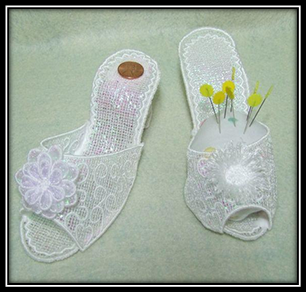 These designs can be used as a pin cushion or to give to the bride along with a good luck penny for her shoe. A complete set of instructions is available with the set. 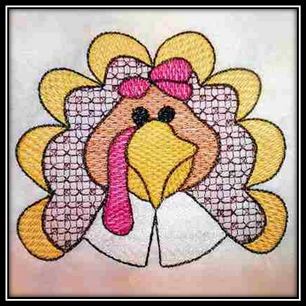 This design is available in the hoop size of 5X7. 4. Lace Shoes Beatrice – Lace Shoes Beatrice set is digitized by designer “Alinaline.” This embroidery design will help you to create a beautiful pair of unique shoes. You cannot buy this shoe anywhere – it is your own, personalized creation. 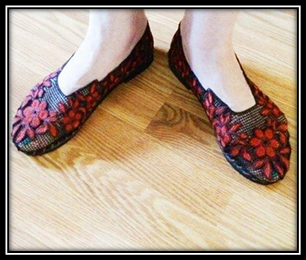 Lace Shoes Beatrice are embroidered in a durable crochet style free standing lace. 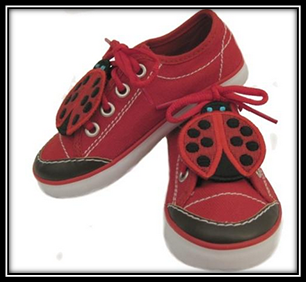 These shoe designs are available in 2 sizes including 6-7, and 8-9 U.S. sizes. 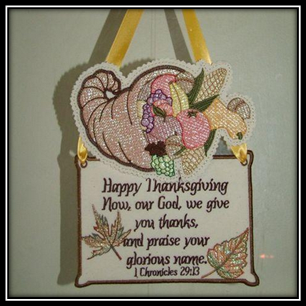 The embroidery designs are available in the hoop size of 5X7 and 8X12. 5. 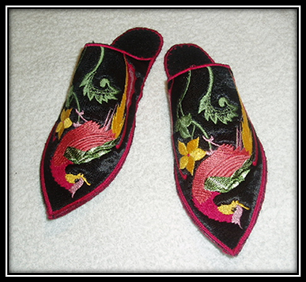 Oriental Slippers – Oriental Slippers Singles set is digitized by designer “Oriental Embroidery.” The set features 10 different embroidery designs. These designs are perfect for creating unique and beautiful slippers. These are available in the hoop size of 8X9. Put your best foot forward and create fun, one of a kind gifts for those shoe lovers you know. For more designs, you can visit OPW Mall – where YOU are always #1.